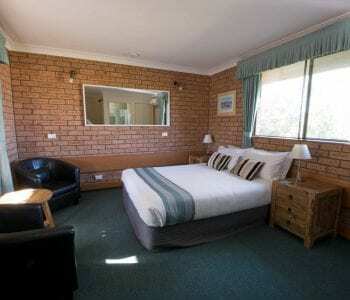 10 Minutes from Nowra, and adjacent to the Crookhaven River, the fishing village of Greenwell Point is an ideal setting for the Anchor Bay Motel. 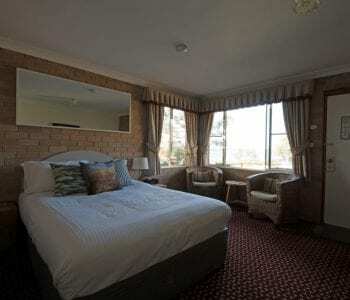 Whether you’re working in Nowra, escaping from the city for the weekend, or travelling the beautiful ocean drive of Sydney to Melbourne, we are in a great location to relax and unwind away from the highway. Our Standard Rooms offer clean and comfortable motel rooms, with everything you need for your stay. The rooms open onto the shared verandah with views over the garden, and it’s only a short walk to the river. Standard rooms are available in a queen bed only, twin share, or a family room with a queen and two singles (one single is a trundle bed). Our Deluxe rooms have all the features of our Standard Rooms, with some extra comforts. Quilted beds, plunger coffee, and a comfortable seating area are a couple of the extra features you will enjoy. Most of the Deluxe rooms have a water view from the room, with a shared balcony overlooking the garden. 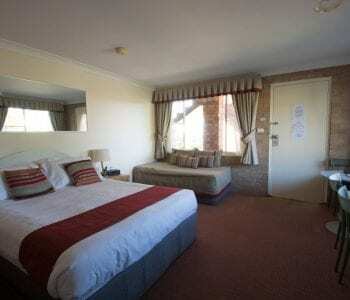 Deluxe rooms are available in the queen only, or twin share. Enjoy all the comforts that you would expect, including quilted beds, plunger coffee, selection of teas, and USB charging points to name a few. The upstairs suites enjoy a commanding view over the Crookhaven River, however the views from the downstairs suites are limited. Upstairs Suites are available as a queen bed only. Downstairs Suites are Queen bed (twin share available). Check our specials page for longer stay deals. We have a well equipped accessible room, with ramp access, a queen bed (single available), and an ensuite with support rails, roll in shower, and shower chair. The room is one of our Groundfloor Suites with limited views. Reception – Reception hours are 8am to 8pm. If you are arriving after 8pm, please contact reception on the date you are due to arrive to make alternate arrangements for your key. Check in is from 2pm, check out is required by 10am. Deposit – An amount equivalent to the first night accommodation may be required as a deposit. Cancellation policy – Cancellations within 7 days will incur a fee of the amount equivalent to the first night’s accommodation. No Show – Where guests do not show, the full booking will be charged. Pets are not permitted in this Motel. Please visit Shoalhaven.com for Pet Friendly accommodation. One Car Space is Provided per unit. No visitor parking is available on site. All damage or additional cleaning charges will be made to the Guests Credit Card. No Smoking regulations apply within 4 metres from any entry or exit doorways and Strictly NO Smoking in rooms – additional cleaning charges will apply. Noise restrictions apply in Residential area . No refund will be given if clients are asked to leave due to noise issues or breaching Motel Rules. Due to Fire prevention policy – we can not accommodate extra people in rooms (no more Heads than Beds). Please note that on check-in, the number of guests should not exceed the number of guests stated on the booking confirmation, otherwise additional charges may apply for extra guests present on check-in. The property will attempt to accommodate additional guests, however where the property cannot accommodate extra guests, the booking will be cancelled. American Express and Diners Club cards are accepted attract a 3% surcharge. No surcharge for other credit cards. We were made extremely welcome by the Hosts. The accommodation is in a superb position with easy waterside walks. The nearby (a car is necessary) Greenwell Point Bowling and Sports Club caters for all tastes. 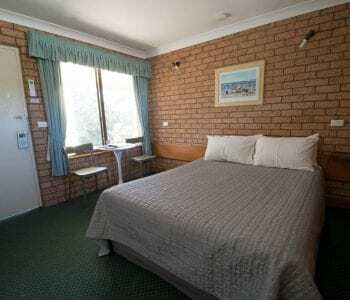 It was a delight to have the Australian Flag flying at the Anchor Bay Motel. Will stay longer next time.